This is not an active project at the moment, take a look at the Garden Buddies page for more on sharing a garden. Do you have space in your Cambridge garden which is under used? 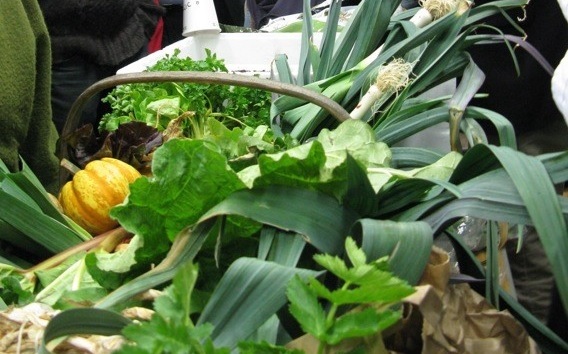 Or do you want to grow your own veg but don't have a garden to do it in? If so, the Transition Cambridge Garden Share scheme is for you! Are you a hopeful grower, with no access to a garden? Or perhaps you've been waiting patiently on an allotment list for one season too many... just a few hours a week could bring brilliant tasting fresh veg to your table, fresh air to your lungs (and tone to your muscles). Registration will ask you where you live and what experience you have. So, you're a garden owner, with not enough time to do your garden justice? Or perhaps you're hampered by a lack of knowledge or experience and don't know where to start? You don't need to allocate much land: even four square metres (about 6 paces) would be useful, and you can also get a share of the produce. Please register using the link above and tell us where you live, what size your garden is and what state it is in. We try to match owners and growers by location and expertise (beginners and experts together) then arrange for the gardening partners to meet. We suggest a code of practice covering areas such as access, tidiness, tool storage and sharing of produce. You will need to negotiate details with your gardening partner. There is a similar scheme at Transition Brighton and Hove and nationally there are Hugh Fearnley-Whittingstall's national land share scheme and HomeGrownUK which you might also like to look at.